Only minutes from Palm Springs lies the unparalleled desert sanctuary that is the city of Indian Wells, California. 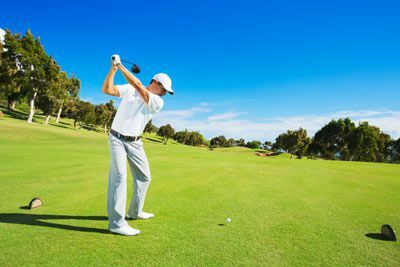 Here, the stunning mountain vistas and majestic palm trees of Southern California are a stunning backdrop to some of the world's finest resorts and spas, golf courses, tennis facilities, shopping, and several other recreational activities. 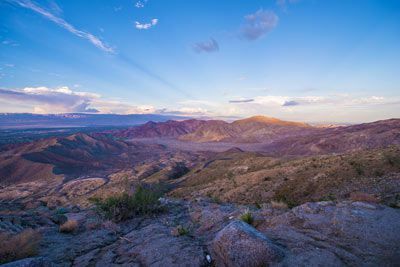 From hiking, biking, horseback riding, and motorized tours of the famous San Andreas fault to a trip up the remarkable Palm Springs Aerial Tramway, there’s so much to do and see. Tour through celebrity neighborhoods or catch a high flying excursion in a hot air balloon. Be sure not to miss The Living Desert, a unique zoo and preserve dedicated to the desert ecosystem, located in Indian Wells and Palm Desert. The Palm Springs Art Museum provides extraordinary creative encounters based on its collections of modern and contemporary art and traditional art of the Americas. The museum has an art collection that rivals urban metropolitan museums, and includes works from Marc Chagall, Pablo Picasso, Andy Warhol, Roy Lichtenstein, Ansel Adams, and more. If you're looking for excellent dining options, look no further than Nest, a popular night spot for good food, drinks, live music, and dancing. Lighter fare and cocktails are a specialty at Eureka where you can dine inside or outdoors on the large covered patio. The El Paseo Shopping District is the Rodeo Drive of Palm Springs. Here you'll find high end shops, fashion boutiques, and art galleries with offerings for every budget. 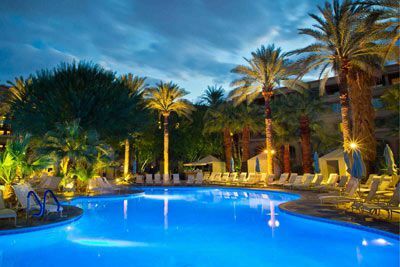 Just 20 minutes outside of Palm Springs, and nestled among 45 acres of lush gardens, Hyatt Regency Indian Wells Resort and Spa provides the quintessential Palm Springs experience. Located within the exclusive Indian Wells community, our resort's unmatched hospitality, service, and access to a myriad of activities invite guests to relax, play and indulge. As a part of your stay, guests have access to the renowned Indian Wells Golf Resort right next door (fees apply). You are invited to splash around with the kids at the children’s pool or enjoy some grown-up time at the adults only swimming pool with private cabanas. 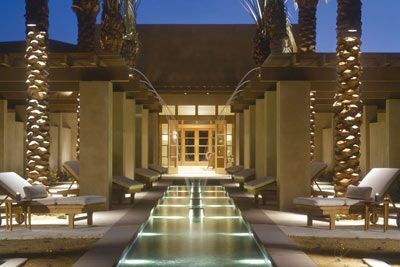 Schedule a treatment at the spa and immerse yourself in the relaxing surroundings of this desert retreat, then visit the salon for a touch-up to get you ready for a night out. 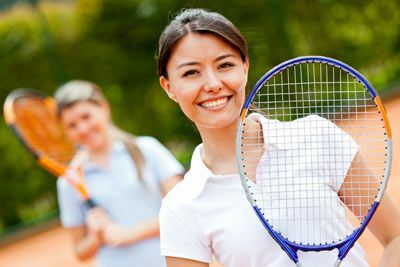 Looking for fun things to do in Indian Wells and Palm Springs? You’ll find a rich assortment of arts and culture, including the Children’s Discovery Museum. 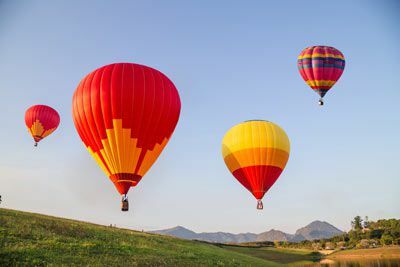 If you’re looking for some outdoor adventure hike, bike, off road, or take to the air in a hot air balloon for a scenic view. Try your luck at one of the casinos surrounding the resort or test your need for speed at the BMW Performance Center, only minutes away. There is also great shopping and dining options in the area. Preferred view rooms are approximately 550 square feet and offer 1 king or 2 queen beds (based on availablity). These rooms face the pool complex and interior resort grounds including the recreation areas and peaceful resort landscaping. 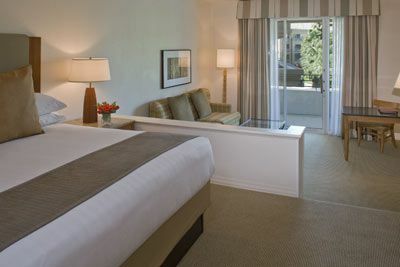 Enjoy your private balcony with views of the desert sunset and sleep well on a pillowtop king Hyatt Grand Bed™. Stay productive with the separate living and work areas featuring an oversized work desk, Wi-Fi, hairdryer, iron/board, coffee maker, robes, safe and more. The hotel is located approximately 15 miles from Palm Springs International Airport (PSP), 86 miles from Ontario International Airport (ONT), and 140 miles from Los Angeles International Airport (LAX). Certified Registered Nurse Anesthetists: This program has been prior approved by the AANA for 24 Class A CEC; AANA Code #1036889; Expiration Date 5/23/2019. $100 March 21, 2019 to April 20, 2019. No refund after April 20, 2019; however, 50% of tuition paid may be applied toward tuition for another NWAS program within the next 12 months. Cancellation must be made in writing.